Patterdale Hall provides spacious facilities for group residentials while retaining many of the building’s Victorian features. We specialise in providing reasonably priced, fully catered accommodation, with an outdoor activity package if required, for up to seventy people. Our accommodation consists of two wings; each wing is able to sleep approximately 30 guests. 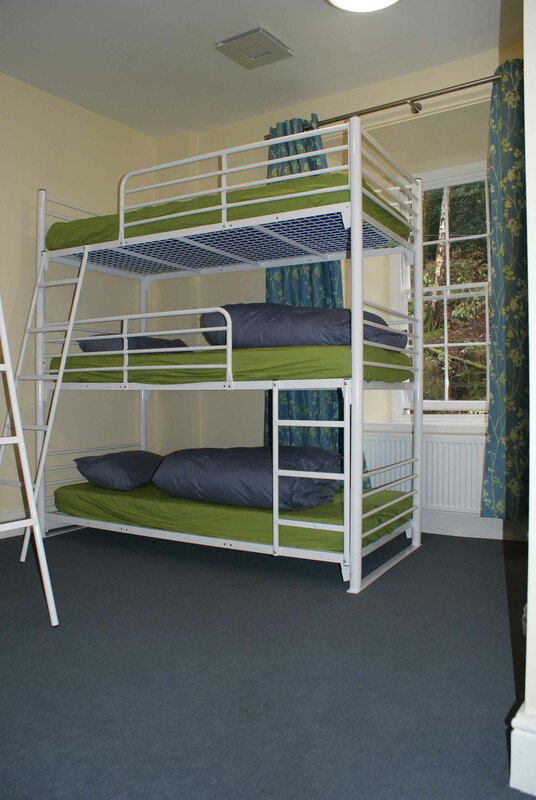 The sleeping accommodation can be arranged in a number of ways to cater for the gender composition of the group in residence. Both the Wings have recently been refurbished and now have 5 en suite bedrooms with their own toilet, sink and shower. Sleeping accommodation is in dormitory style rooms with bunk beds. A range of room sizes are available, sleeping from 4 to 9 people per room. The North and South wings also each contain an en-suite staff / leaders room. Please see the Room Plan in the Useful Documents section for further detail. During your stay with us you will be fully catered for. We supply three meals a day consisting of a cooked breakfast, evening meal, and a sandwich or packed lunch depending on the nature of your programme. 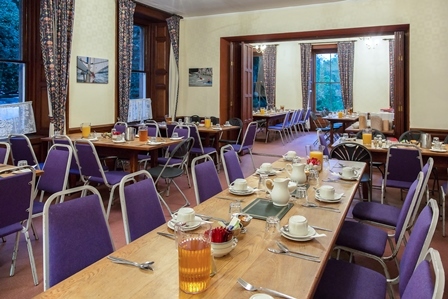 Our menu is designed to suit the group in residence in terms of type of food and quantity. For those who want a little extra, there are always tea and coffee making facilities available in the small group lounge. The catering team at the hall are adept at catering for a variety of special diets for those with food allergies or intolerances. The centre has many other facilities that are available to guests for residentials; ask us and we probably have it or can arrange it for your stay. 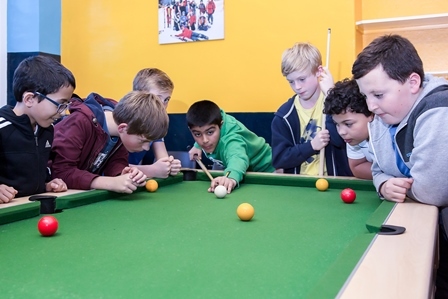 There is a games room with pool and table football; a classroom can be made available on request; we have televisions, DVD and video players; and a data projector, OHP and photocopier can be made available if needed. Tell us what you need the centre for and we will ensure that it is set up for maximum usefulness to you. Awesome Facilities! Awesome Activities! Awesome food! (Better than local competition) Awesome friendly staff! The food was amazing! 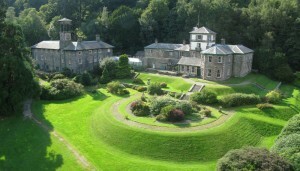 The hall and garden are both stunning locations. All the staff, instructors, cooks etc. are extremely helpful and welcoming. Superb location all round. Ross, Inspira NCS team leader.